Sword Art Online: Hollow Realization (game, 2016). A video game by Bandai Namco Entertainment/BANDAI NAMCO Entertainment Inc./Bandai Namco Games. Developed by BANDAI NAMCO Entertainment, Bandai Namco Games, Aquria. Official Trailer. Sword Art Online: Hollow Realization is a video game by BANDAI NAMCO Entertainment Inc., Bandai Namco Entertainment and Bandai Namco Games, developed by BANDAI NAMCO Entertainment and Bandai Namco Games, Aquria. 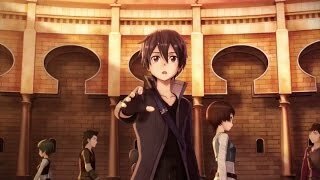 Sword Art Online: Hollow Realization - Launch Trailer | PS4, Vita. Hollow Realization takes place in Sword Art: Origin, a restoration of Aincrad titled Ainground, with intentions of research and development in the year 2026, three years after the original Sword Art Online event. 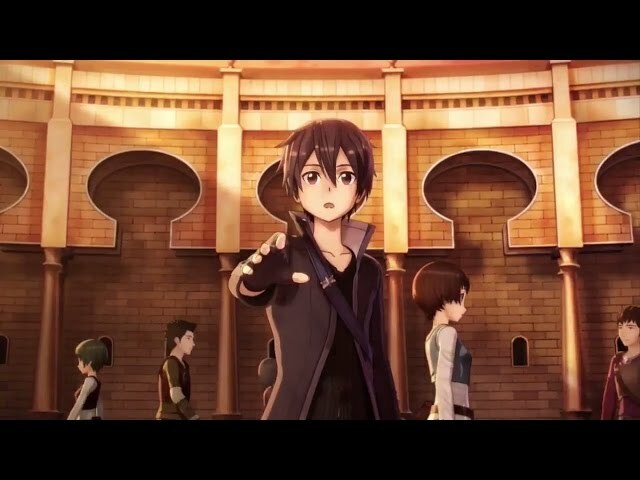 However, unlike in Sword Art Online, Aincrad is one large floor, instead of multiple, while the castle itself was renamed to Ainground, where several monsters can be battled. The main character of the game is a 14-year old AI, known as Premiere, that travels with Kirito. Although she is part of the game's initial release, a later patch would tweak her "vocabulary and personality" in-game to a "specific character", based on keywords in Twitter tweets as part of a promotional campaign featuring the character. These conversations with Twitter users would dictate her personality over time and ultimately decide if she would become a "good girl" or "bad girl" in-game. Other prominent characters from the franchise such as Asuna, Leafa, Sinon, Lisbeth and Silica also feature. Unlike in Sword Art Online: Hollow Fragment and Lost Song, a party in Hollow Realization consists of four characters including the player, instead of three. While HF is played like a role-playing game and LS like an action role-playing game, HR is based on HF style, but with action elements integrated. Characters can be customized through in-game character creation, with gender, height, figure, weapons, and physical appearance changeable. Additionally, over 300 non-player characters appear in the game, with all of them being recruitable to join the player's party. Players can create special bonds with these characters by giving equipment to them. Strengthening the bond also increases the character's strength. Sword Art Online: Hollow Realization was scheduled to be released by Bandai Namco Entertainment, BANDAI NAMCO Entertainment Inc. and Bandai Namco Games on October 27, 2016 (Japan), on November 8, 2016 (international) and on October 27, 2017 (international). This video game is available for the following platforms: PlayStation 4, PlayStation Vita, Microsoft Windows, Nintendo Switch.